Even though it has been known for years that search engines penalize websites that buy links, many brands continue to engage in the behaviour. Some genuinely do not know that this behaviour is considered a form of black-hat SEO by Google and others. Other people are fully aware, but think that they are more clever than the system. Despite the risks and difficulty, there are actually some brands that get away with buying links, albeit in nuanced, relevant and covert ways. Nevertheless, most people will find themselves in a world of trouble if and when they decide to buy some links for SEO gains. We’ll review some alternative reasons why buying links – even if you can get away with it – is a bad idea. You may have heard about a great, underground link buying marketplace that has delivered some awesome results for fellow businesses and brands. After checking things out, you get the impression that this is a legitimate network that could produce benefits for your business. You decide to buy some links and everything seems to be going as planned. What’s the problem then? Unfortunately, search engines are highly efficient at pinging links around the web and determining the associations between them. Even relevant links that have been purchased will begin to suggest patterns to sites like Google with respect to the bigger, broader networks that comprise these links. In many cases, search engines already know about these underground, efficient link farms: they’re just waiting for the right moment to pull the rug out from under them. 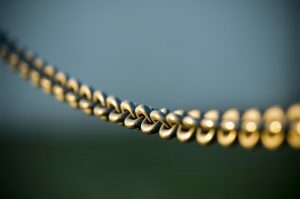 Any good competitor is likely scouring the web, trying to find out everywhere that their competition is earning links. This will inevitably – for competitors well-versed in link building practices – set off alarms. They’ll sooner or later figure out how you are earning your links and that will lead them to being able to do the same as well. If your links are bought, then it is very easy for somebody else to replicate the process and earn the very same links. If your links are legitimately earned, then that isn’t quite as easy. It is also worth noting that any competitor who discovers that you’re buying links now has plenty of incentive to report and otherwise draw attention to the fact, which could create some real headaches for you. Another important reason why buying links is bad – even if search engines or competitors are not aware of the situation – is that they are usually unnatural in nature. Even when placed on relevant websites, the structure of most links comes across as unnatural due to the sheer volume of links being pumped out by these sites. Likewise, many who buy links want to stuff as many keywords as possible into each and every purchased link. This tends to produce negative results and becomes easily detectable. When pinging links to search engines, go for a natural link structure. When you buy links, however, your influence over how they’re placed and in what specific content they’re featured is not necessarily something you can control. There are many different reasons why buying links is bad – above and beyond the simple detection by and subsequent penalty from search engines. Stay away from these links or you’re risking a lot.